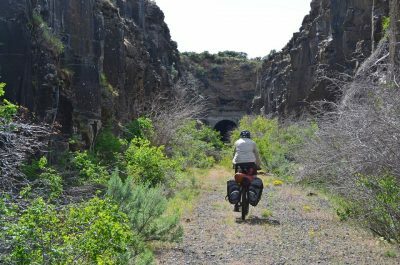 Protecting and funding the John Wayne Pioneer Trail will be one of Washington Bikes’ priorities heading into the 2017 legislative session and beyond. The threat to the trail’s public ownership that emerged at the tail end of the 2015 legislative capital budget process ironically has served to galvanize widespread public support for the trail — Friends of the John Wayne Pioneer Trail formed not just to protect it but to promote, maintain, and develop the nation’s longest rail-trail. At their board retreat in September in South Cle Elum the Friends discussed formation of a coalition and development of a common legislative strategy that can be supported by a broad range of interests. This recap below from Peter Herzog, Assistant Director of the Washington State Parks and Recreation Commission, provides a concise description of how State Parks has responded to legislative threats and questions about trail management, along with the budget priorities that came out of the Advisory Committee that met several times in 2015. Development of an agency’s recommended budget request is an important step in preparing for the legislative session. We thank the Advisory Committee, State Parks and Recreation Commission, and Parks staff for their work on this. A long-term park boundary identifying the area desired for future recreation trail management, which includes the DNR-managed portion of the old Milwaukee Road corridor, the active rail line between Port of Royal Slope and Warden, and all public and private property gaps between Lind and Malden. Direction to work with the Washington Department of Natural Resources (DNR) to develop a transition plan for the DNR-managed trail corridor between the Columbia River at Beverly Bridge and Lind, with a goal of eventual management by State Parks. In Parks conversations with DNR they have indicated a desire to move such a transition forward. State Parks is pleased to introduce new Area Manager, Audra Sims, for the trail segment between Lind and the Idaho Border. Audra also has the Columbia Plateau State Park Trail in her portfolio, along with a number of other parks in the Blue Mountain Park Area. She comes with a strong background in state parks, general recreation and resource protection. Her first order of business will be the hiring of vacant ranger positions, including her primary assistant and another park ranger. These key hires in themselves will provide a larger measure of responsiveness and presence along the linear trails in her area. As she transitions into her new role, Audra will develop a strategy to best use social media and traditional meetings to provide interested parties and adjacent property owners with updates on trail work and news. Based on direction provided by the State Parks and Recreation Commission, staff is developing a process to work with trail stakeholders on an ongoing basis. Initial items for the stakeholder consideration include a new trail name and improving the trail permit and property owner notification process. We expect this stakeholder group to be making recommendations to Commission in 2017. Design and permitting for trailheads at Kenova, Rock Lake, Revere, Marengo, Ralston, and Lind. This project will develop trailhead facilities including sanitary facilities, parking, and orientation signing at Tekoa and Rosalia. 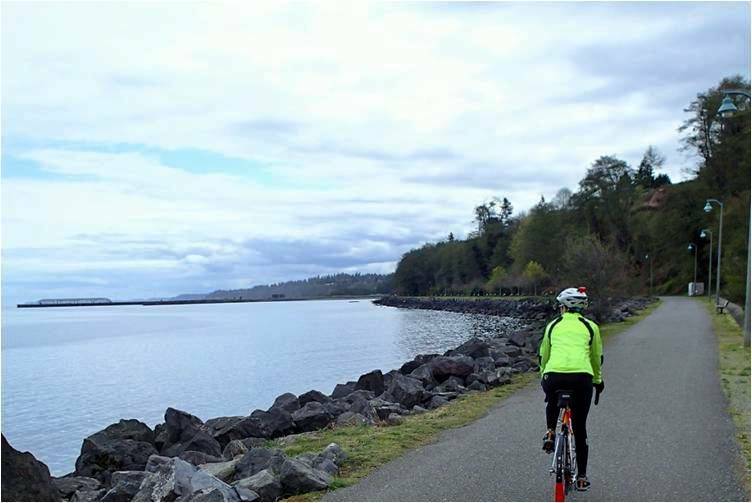 This phased project addresses continued implementation of the Iron Horse State Park Trail Master Plan and will complete needed assessments and repairs to trail trestles, tunnels, culverts, and surfacing within Iron Horse State Park Trail west of Lind. The project will also develop trailheads, campsites, restrooms, and other trail facilities. This project will also address the Surface Drainage Liner over the Tunnel 50 East Portal. The first biennium will address design and permitting. Construction will occur during subsequent biennia and is anticipated to cost approximately $4.3 million. This project did not make the final capital budget request and may be pursued in future biennia. State Parks has submitted a 2017-19 Washington Wildlife and Recreation Program (WWRP) grant request to permit and construct grading and surfacing improvements to the 9-mile section of Iron Horse State Park Trail between the towns of Malden and Rosalia, as well as adding a trailhead facility in Malden. The primary intent of this project is to upgrade the trail to a standard consistent with the other improved sections of the trail and to make this section accessible under the Americans with Disabilities Act (ADA). The project scope includes reducing the grade in five areas (road crossings/former bridge sites) to 10% or less and surfacing the trail with crushed rock. The project would also likely include signing and gates. State Parks has a grant from the State Recreation and Conservation Office (RCO) for $20,000 and a donation of $40,000 from the estate of John Kono to complete design and engineering for the project. Bid-ready construction documents will be complete by October 2016. State Parks anticipates applying for an approximately $1,200,000 grant and additional funds donated by the Kono estate for construction in the 2017-19 biennium. This grant proposal will also include construction of a trailhead facility in Malden. State Parks has submitted a WWRP grant request to renovate the 680-foot-long historic Renslow Trestle that connects two portions of the Iron Horse Trail separated by I-90 between the town of Ellensburg and the Columbia River. 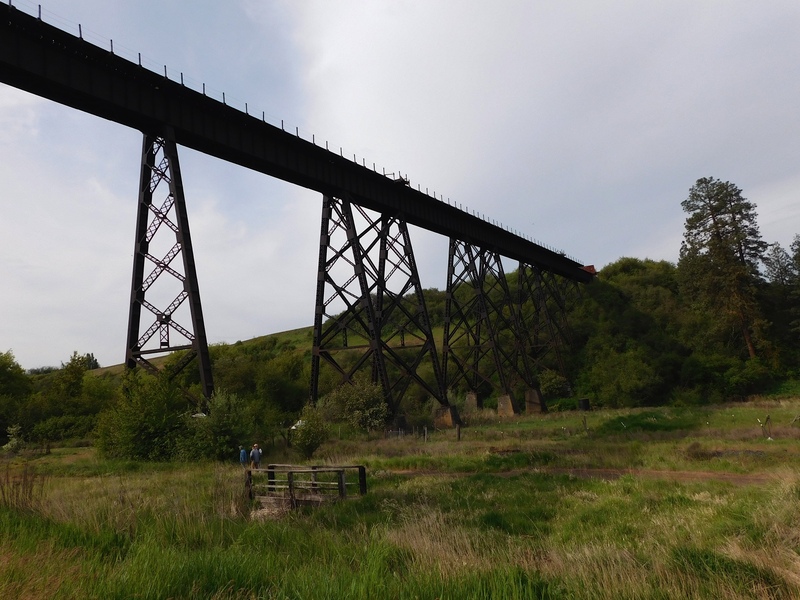 Built in the early 1900s, the Renslow Trestle is one of Washington state’s iconic steel structures used to carry trains of the Minnesota St. Paul Railway over large geographical gaps throughout the West. New concrete decking, railing, and safety fencing on the Renslow Trestle will improve safety and will complete the “missing link” eliminating the last arduous and convoluted detour between Ellensburg and the Columbia River, resulting in 32 miles of continuous trail. Crossing the renovated trestle will also add a new and exciting element to the Iron Horse experience. State Parks has submitted a WWRP grant request to complete design, permit, and construction improvements to the 975-foot Tekoa trestle. The project would add concrete decking to the steel railroad trestle and install safety railings, making the bridge usable by hikers, cyclists, and equestrians. State Parks has secured funding and is in the process of acquiring land for a trailhead in Tekoa. We anticipate acquisition of this property to be completed by June 2017. Funding for this acquisition came from WWRP. While the grant request for this property was originally $1,000,000, we expect the final cost of acquisition to be significantly less. State Parks has incorporated $400,000 into its statewide operations budget package for Iron Horse services. These funds are intended to provide an on-trail staff presence as well as non-staff costs including noxious weed spraying contracts, sterilant application for the trail surface, signs, fencing and gates. Maintenance: State Parks completed four weeks of Washington Conservation Corps (WCC) crew time working on removing vegetation and clearing rock fall along Rock Lake, including one week of excavator time working on rock clearing to allow vehicle access. They are continuing to collect mapping and location data for weeds, fencing, and other issues along the trail. State Parks has been meeting and coordinating with weed board representatives in Adams and Whitman County. Trail staff has been meeting with adjacent landowners as the opportunity arises to address their concerns. Staffing: Parks extended the existing trail staff position into the next biennium and they look forward to evaluating options in the 2017-19 budget for a permanent staff model that allows them to continue basic stewardship. Fall/winter maintenance: This fall and winter, staff will mow areas of heavy vegetation, spray sterilant on the trail, repair and/or replace gates and start to work in areas with identified adjacent property owner fencing issues. State Parks is in the process of developing a plan for the work that will occur in 2017. In September State Parks staff traveled to eastern Washington and met with nine farmers and ranchers to discuss the best method to authorize their reasonable motorized use of the trail. These discussions have resulted in a plan to tailor one version of the motorized use permit for agricultural uses and another version for ranchers. Also of significance is the fact that all nine applicants have agreed to provide annual trail improvements and trail maintenance in lieu of paying any form of annual rent. State Parks has been working initially with Brandon Spencer and he has agreed to assist State Parks staff in contacting and developing agreements with other ranchers along the trail. State Parks staff expects to provide all current motorized use applicants with a permit offer prior to December 1, 2016. Following this initial round of permit offers, staff will work to identify any additional landowners who may require reasonable use of the trail to manage their farm or ranch but to date have not contacted State Parks. 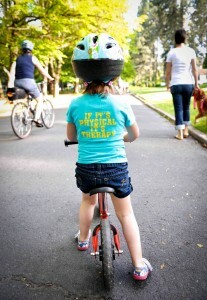 Sign up for the Washington Bikes e-news to stay on top of action alerts when it’s time to speak up in the legislature and in your town for the JWPT and other trails and bike connections. The Board of County Commissioners is taking public comment on final proposed changes to the Skagit County Comprehensive Plan, 2016 Update. This new comment period is focused primarily on changes to the original proposal both from the Planning Commission in May, staff recommendations and additional changes directed by the County Commissioners in June. The proposed changes are summarized in the Planning & Development Services staff report dated June 10, 2016. We encourage both speaking at the hearing and submitting written comments. You may also talk directly with your respective district’s County Commissioner. The Commissioner’s general phone number is 360-416-1300. Public hearing date: Monday, June 20, 2016 at 6:00 p.m. Written comment deadline: Thursday, June 23, 2016, at 4:30 p.m.
Personalize, share your own experience, and state why is this important to you. Be sure to follow the directions below for submission of written comments so that your comments will be accepted. 1. Support for the recommended inclusion of a 20-year list of non-motorized projects as part of the updated Comprehensive Plan, Transportation Element. The map of non-motorized projects in the latest version of the Transportation Technical Appendix is on page 56 and the project list begins on page 58. 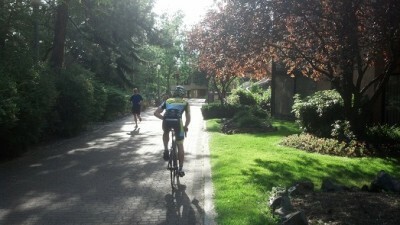 Say why it’s important to you to have a vision and long range plan that includes non-motorized pathways and facilities. The projects include pathways and trails, safe bicycle and pedestrian routes, as well as safety improvements to county roadways such as usable shoulders. You will also find new flow charts and narrative of the public process for trails, bike paths, and facilities beginning on page p. 229 of the comprehensive plan in the trails and non-motorized projects process and flow chart. 2. Support Skagit County’s intent to continue cooperating with local partners to identify and protect open space corridors. Open Space is defined as a combination of public and private lands, both rural and inter-urban, that form greenbelts of agriculture lands, trails, wildlife habitat, parks, significant scenic or historic lands etc. Support public access where it is appropriate. 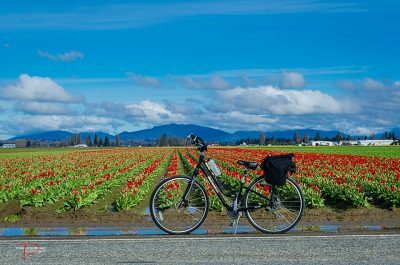 State why you think it is important for Skagit County to protect open space. In Person: Show up at the County Commissioners Chambers at 1800 Continental Place, Mount Vernon WA 98273 on Monday June 20 2016 at 6 p.m. You may choose to make a public comment; however, you are also demonstrating your support by showing up. As we did for previous meetings we will have stickers available for you to wear. If you wish to make a comment sign up on the list to speak. Keep your comments brief, 3 minutes or less, and personal. By email: You may submit your written comments by email, which must be sent to pdscomments@co.skagit.wa.us by Thursday, June 23, 2016, at 4:30 p.m. Include your comments in the body of your email message rather than as attachments. By letter: Paper comments must be printed on 8½x11 paper and mailed or delivered to: “2016 Comprehensive Plan Update” Planning and Development Services. 1800 Continental Place, Mount Vernon WA 98273 by Thursday, June 23, 2016, at 4:30 p.m. The entire 2016 Comprehensive Plan Update proposal is available for review on the project website. The Skagit County Board of Commissioners is scheduled to meet on Tuesday, June 28, at 9:00 a.m., for final deliberations on the 2016 Comprehensive Plan Update proposal. This is where we expect they will give departments final direction about what they want included in the adopting ordinance and the adopted documents, based on the most recent public comment period and the entire update record. The Board of Commissioners is scheduled to meet on Thursday, June 30, at 9:00 a.m., to approve the ordinance adopting the 2016 Comp Plan Update, based on the direction they give on June 28. Please share this information widely with your friends, coworkers and family who may be interested. Restoring the Tekoa Trestle will help make the John Wayne Pioneer Trail a world-class long-distance trail. Photo courtesy of Tekoa Trail and Trestle Association. The most immediate opportunity to lend your voice to the discussion is via a set of three listening sessions occurring in Eastern Washington in November. One of the architects of the trail closure, Representative Schmick (R-Colfax), is partnering with the Tekoa Trail and Trestle Association to host three public meetings to hear from you about the Trail. Representative Schmick has indicated he may consider introducing legislation based on the input he receives from these three events. In addition to the public sessions hosted by Representative Schmick, Washington State Parks has proposed a plan to convene a planning process slated to begin before the end of 2015. 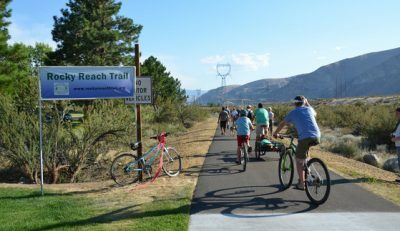 It will allow the public to actively participate in crafting plans for the Iron Horse and Columbia Plateau State Park Trails. 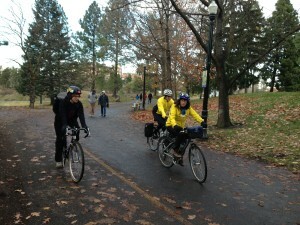 As soon as plans are formally released by State Parks, Washington Bikes will provide an additional update. Also, the Tekoa Trail and Trestle Association’s Facebook Page provides a number of articles and community discussion as the process moves forward. Today the U.S. House of Representatives officially kicks off debate on the chamber’s long-term highway and transit bill today. 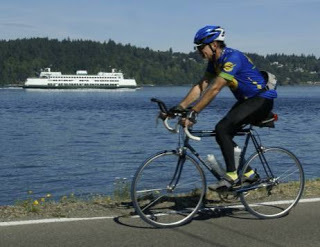 Key amendments threaten Washington State’s priorities for biking and trails. Take Action today! Last night the rules of debate were sent and the House of Representatives has begun debate on over one hundred amendments to the proposed surface transportation bill. With hopes to wrap up the debate and votes by Thursday, time is of the essence for you to let your U.S. Representative know that biking and trails matter! Just last week the Transportation Committee, led by Chairman Shuster (R-PA) and Ranking Member DeFazio (D-OR), passed the Surface Transportation Reauthorization and Reform Act (STRRA). This bill includes a carefully constructed agreement on bicycling and walking funding that we support. 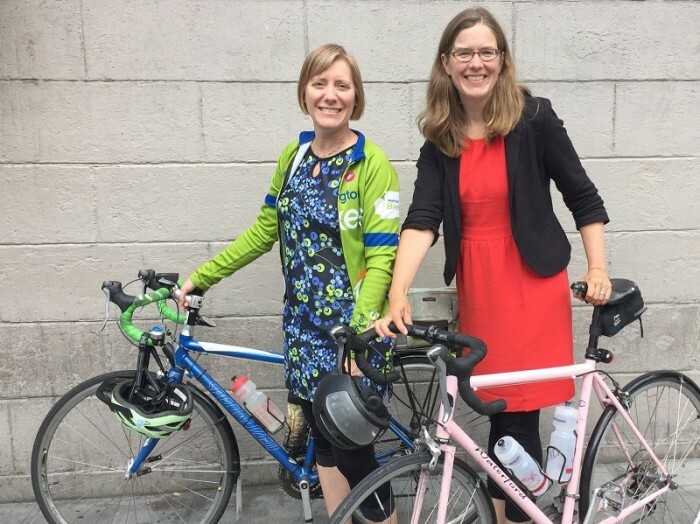 It maintains funding streams for biking infrastructure projects, and it maintains the local control aspects and competitive processes that have made the transportation alternatives program effective. Rep. Carter (R-Georgia) and Yoho (R-Florida) have introduced amendments that undermine that agreement. Rep Carter now has one amendment. It opens up the transportation alternatives funding to road and bridge projects. Representative Yoho’s amendment would make the Recreational Trails Program ineligible for non-motorized transportation funding. This means money for ATVs but not for hiking and mountain bikes. Go to the League of American Bicyclists action center today to take action! Please take a short survey by Oct. 18 to share your insights about the WWRP. The Legislature created the WWRP in 1990 to give the state a way to invest in valuable outdoor recreation areas and wildlife habitat conservation lands. They wanted to protect critical habitat and make sure our kids, grandkids, and future generations had places to recreate, and they wanted to do it before the land was developed. In its 25-year history, the grant program has funded projects in nearly every county of the state. 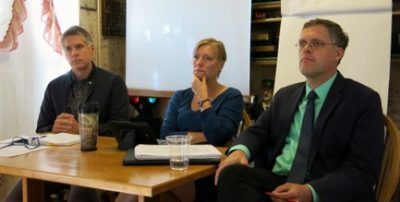 As state officials review the program, they are looking to see if the program is accomplishing what it set out to and what might need to change going forward. Now is the time to share your thoughts.